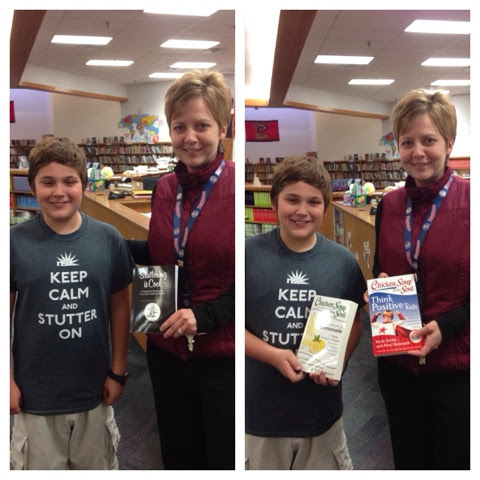 A couple weeks ago, Nate stopped in his school library and donated 3 books. 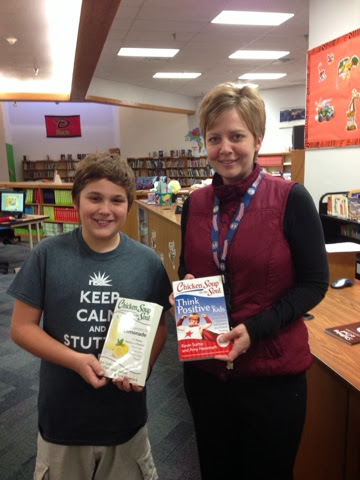 The librarian was thrilled to receive the books, and Nate shared with her that he was donating them because he knew the authors, and that they stuttered, just like him. The other 2 books are Chicken Soup for the Soul books, that each include an essay by Jody Fuller. He's another great guy we've met thanks to the National Stuttering Association, and an adult who has never let a stutter hold him back from pursuing his dreams. I think after meeting Jody, Nate realized that there was no reason he couldn't grow up to be a public speaker himself. You can purchase Daniele's book, Stuttering is Cool on etsy. Nate has all the charisma in the world and not an ounce of shyness...I can definitely see him as a public speaker.